If you aren’t a professional remodeler, you may not know there is more to demolition than pulling up a few boards. You can encounter blocks and beams as well as a few wood boards. 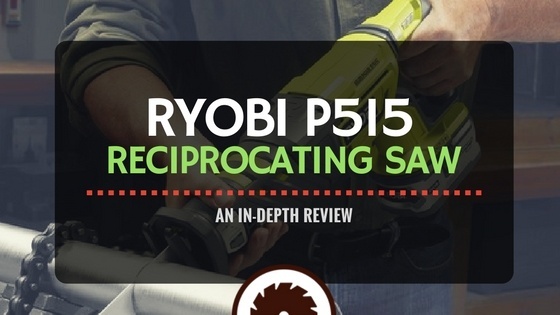 If you have a reciprocating saw like the Ryobi P515 Reciprocating Saw, you could take care of that deck in a few minutes instead of hours later. Having the right tool for the job can help you save time and money and having the Ryobi P515 will not only allow you to do renovations, demolition, and construction as well as take care of maintenance around the house. This go-to tool is definitely a great addition to anyone’s toolkit. Allowing you to access hard to reach places, the P515 ONE Plus is a cordless reciprocating saw that works without a power source. The anti-vibe handle lessens the chances of fatigue during long periods of use and the GripZone Overmold technology features a micro texture that guarantees a great grip as well as comfort. Easy blade changes are done quickly and safely with the P515 ONE Plus’ toolless blade clamp. Plus, with the 3,100 SPM no-load speed, you can smoothly and immediately begin to cut. With 3100 strokes per minute (SPM), the Ryobi P515 comes equipped with a motor that is powered by an 18-volt lithium-ion battery. This reciprocating saw easily cuts through almost any materials with stroke lengths measuring 7/8 inches. 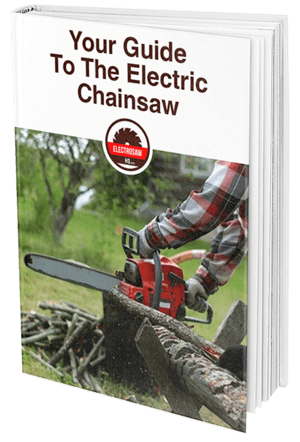 Minimizing impact is the no-load speed trigger that provides optimal power to cut metal, wood, plastic, bushes, tree branches, masonry, and PVC giving you a better cut. The variable-speed trigger lets you have a slow start which is important when you are starting to cut. And once the cut has been started, you can use the variable trigger to increase the saw’s speed or even stop the blade quickly and easily. The Ryobi P515 can be used for many different types of projects such as cutting branches, cutting plastic or ceramics, trimming bushes, and sawing through drywall. The adjustable pivoting shoe gives you better depth control and minimizes shocks and vibrations that can occur when you cut too deep. Users can easily adjust the shoe’s depth depending on what type of material they are working on. When you adjusting to a sharper area of the saw, you are able to use little effort, power, and time. You also reduce the amount of waste and increase your efficiency. Weighing only 4.6 pounds, the Ryobi P515 is one of the lightest reciprocating saws on the market. This is a great saw to use for overhead work since it is lightweight and extremely portable. You will find that arm fatigue is pretty much non-existent when you use this tool. The Ryobi P515 is also a very safe product featuring an electronic brake that can stop the blade in just a few seconds. It also features a lock-off button that stops accidental starting of the saw. Nothing is worse than having to stop your work because your hands are aching from fatigue. The Ryobi P515 lessens fatigue with its ergonomic design. It also features a special design Anti-Vibe handle and features a body construction that is smooth with well-contoured curves. Since it has great ergonomics, you can continuously use this tool with very little fatigue that will lead to better-looking results. Plus, the Grip Zone Over Mold increases your comfort and improves your grip so you won’t have to deal with a numb finger or a lot of sweating. This mold is designed for long-term use as the material is soft to both your hands and fingers and it won’t lose its shape after continual use. The Ryobi P515 reciprocating saw comes in at a very affordable price point and is less than many of its competitors. Keep in mind though that the Ryobi P515 comes as a bare tool, so you will have to purchase that separately. Similar to the Ryobi P515, the P514 has an anti-vibration handle and a rubber grip so that you can work in comfort. The P514 also has handles with springs to help lessen the chance of fatigue when powering through the material at 3,100 strokes per minute. 18V One+ line of batteries is also compatible while the tool-less blade changes are simple and easy. Both the P515 and P514 are pretty popular and are compatible with any ONE+ battery and reciprocating saw blade. They both also have a similar variable-speed trigger, but the P514’s Anti-Vibe handle is more visible while the P515’s anti-vibration features appear to be inside of the handle instead. You will find that the more compact P515 will fit into smaller spaces and has an easier weight to manage. The Ryobi P516 allows you to get those hard jobs done by easily swapping out blades with the front lever-activated system to use blades from any other brand. The rubberized grips notched for optimum accuracy giving you friction so you can hold onto the grip easily. The handle will also absorb some of the shocks from the motor and improve stabilization. The difference between the Ryobi P515 and the P516 is that the Ryobi P516 is an improved version of the P515 giving you more run-time, power, and better overall construction allowing you to do more than just simple DIY projects. You can also tell that the construction and house of the saw have been bulked up so it can accommodate the upgraded parts and larger motor. Despite the upgrades, the P516 still retains the ONE+ platform allowing the Ryobi P515's battery or any of the batteries in the series to power it. Thin enough to make cuts and fit into the smallest spaces, the DeWalt DCS3878 allows you to make flush cuts with a blade clamp that is multi-positional, unlike the P515. This is a lightweight and compact reciprocating saw that measures 14.5" in total length that easily fit in between studs. Featuring a 4 position blade clamp, you have increased versatility for flush cutting and different cutting position while also enjoying tool-free blade changes. The DeWalt DCS3878 also has a 1 1/8" stroke length that gives you a fast cutting speed, plus a variable speed trigger with 0 - 2,900 SPM giving you better blade control for more accurate cuts. You also get increased cutting versatility with the included pivot shoe and better visibility with the bright LED light. The DeWalt DCS3878 has a no-load cutting speed that is only behind the P515 by a few hundred strokes. And the DeWalt stands out from the P515 with its useful LED light and its lightweight weighing only 5.4 lbs. When you need to make a quick cut on a piece of thin material, the Black & Decker BDCR20B is just the right tool. With a no-load cutting speed of 3,000 SPM, the BDCR20B also has a stroke length of ⅞ inches and a maximum battery voltage of 20 volts. This lightweight reciprocating saw also features a pivoting shoe, a variable speed trigger, and tool-free blade changes for ease of use. The BDCR20B only weighs 3.8 pounds making it incredibly lightweight in comparison to the P515. However, the BDCR20B has many of the same features as the P515 including a pivoting shoe, a tool-free blade changing system, and a variable speed trigger.